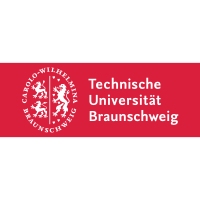 The TU Braunschweig, the Technische Universität Carolo-Wilhelmina zu Braunschweig, founded as the Collegium Carolinum in 1745, is the oldest Technical University in Germany (https://www.tu-braunschweig.de/index.html). TUB is part of the TU9 group of leading technical universities in Germany, and for each of its core disciplines, the engineering subjects, it ranks among the top 9 universities in Germany. It currently has an annual intake of more than 18,000 students. 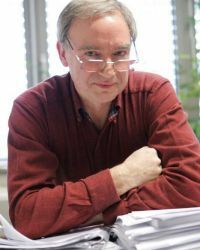 Kenneth Timmis studied microbiology at Bristol University, undertook postdoctoral research training at the Ruhr University, Yale and Stanford, and headed research groups at the Max Planck Institute for Molecular Genetics, the University of Geneva Medical Centre, the German National Research Centre for Biotechnology (later, the Helmholtz Centre for Infection Research) and the TUB. His research focus has been environmental microbiology, microbial pathogenesis and vaccine development, and microbial biotechnology, mostly involving genetic approaches. His group developed one of the first “biosafety” strains of bacteria, Pseudomonas putida strain KT2440, for genetic engineering, and a large range of genetic tools for this metabolically versatile bacterium, which has become a major workhorse for biotechnological applications, and the P4SP chassis. He has published almost 500 research papers, edited the major scholarly works “Handbook of Hydrocarbon and Lipid Microbiology" and "Hydrocarbon and Lipid Microbiology Protocols”, has an H-factor of 95 and his work has more than 30,000 citations. He also actively engages in commercial and societal debates and will thus provide a link to key scientific, commercial, social and policy maker stakeholders.